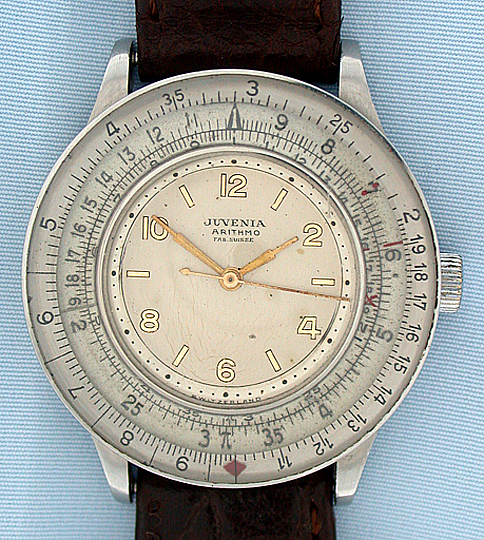 Juvena Arithmo stainless steel sliderule vintage wrist watches circa 1945. 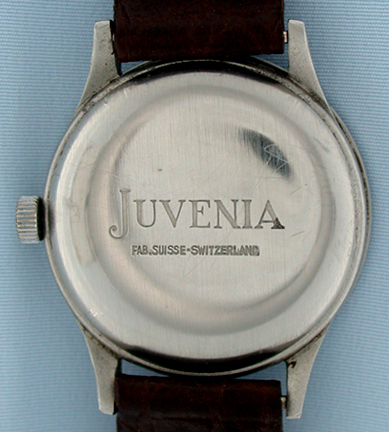 Original dial with attractive aging. 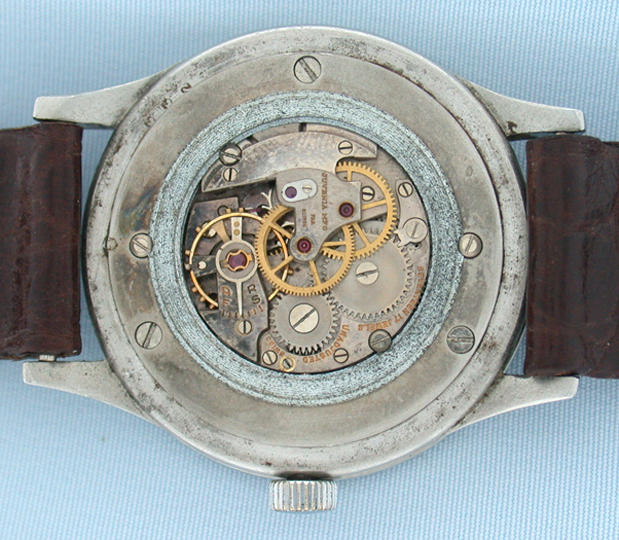 Faded 17 jewel movement of unusual calibre with sweep center seconds.